In this stunning sequel to "Apocalypse," three months have passed. 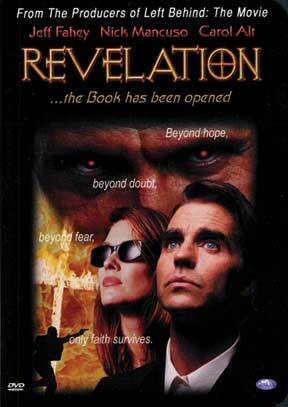 Counter-terrorism expert Thorold Stone (Jeff Fahey) is still trying to put the pieces of his life together. His wife and daughter were among those who vanished off the face of the earth. And now, in the course of his investigation of an underground resistance movement, he discovers a conspiracy that leads right to the heart of the new global order. Would a true Messiah (Nick Mancuso) lie? And if he is not the true Messiah, just who is this new Supreme Leader and what has he done with Stone's family? With the aid of a band of underground Christians, Stone finds himself in a race against time. The World Government is distributing virtual reality headsets to everyone on earth. What are they? What will happen when the world puts them on at noon on the "Messiah's Day of Wonders"? As the investigation continues, Stone discovers a sinister plot, a plot that only he can stop. But to do so, he must first decide in what, and whom, he believes. And with eternity and millions of souls at stake, the breathtaking and inspiring climax will challenge every viewer to examine their own place in the epic battle good and evil that already rages in our day!